Anti-aging care without Needles or Injections. Instant Results for Your Skin. What is the Wish Pro Plus? Customizable capsules to infuse products into your skin. Whether your interested in Exfoliation, Acne, Advanced Skin Repair, Sun Damage Restoration, Skin Rejuvenation, or Anti-Aging Services, Wish Pro Plus is a wonderful treatment for your skin. When combined with magnetic pulse, your skin will be renewed and given a healthy glow. 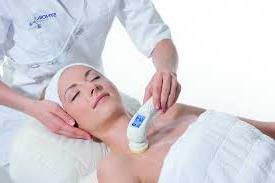 For a non-invasive treatment customized for your skin with immediate visible results! This allows you to complete your experience with the benefits of a customized or anit-aging facial mask.